Cam Ranh Bay invites you to come in and relax while we cater to your taste buds. Here you can enjoy wonderful Vietnamese foods in a warm and cheerful setting. 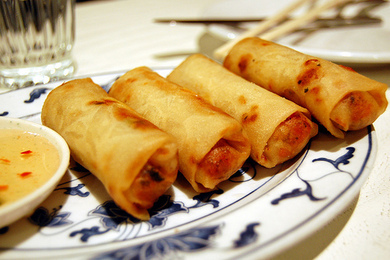 We offer traditional Vietnamese dishes as well as many other popular Chinese dishes that will satisfy any appetite, whether you are a meat, vegetarian or exotic food lover. With over 20 years in business, Cam Ranh Bay of Burnsville is well worth the trip.